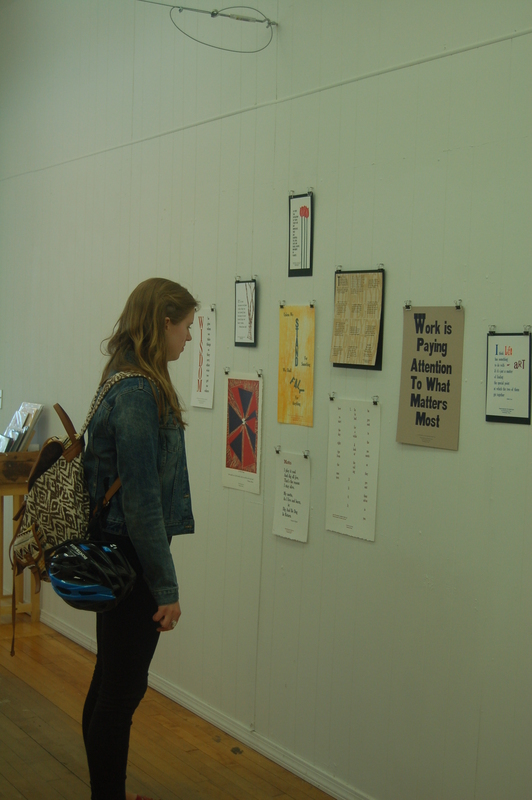 For the next 3 weeks we will be spotlighting artists from our current exhibit, Manifestos. 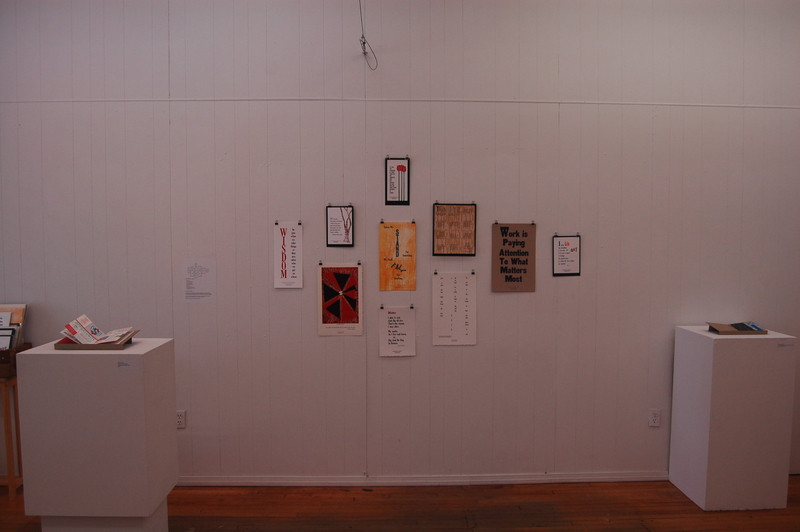 Our first feature is on artist John Vincent of A Revolutionary Press. 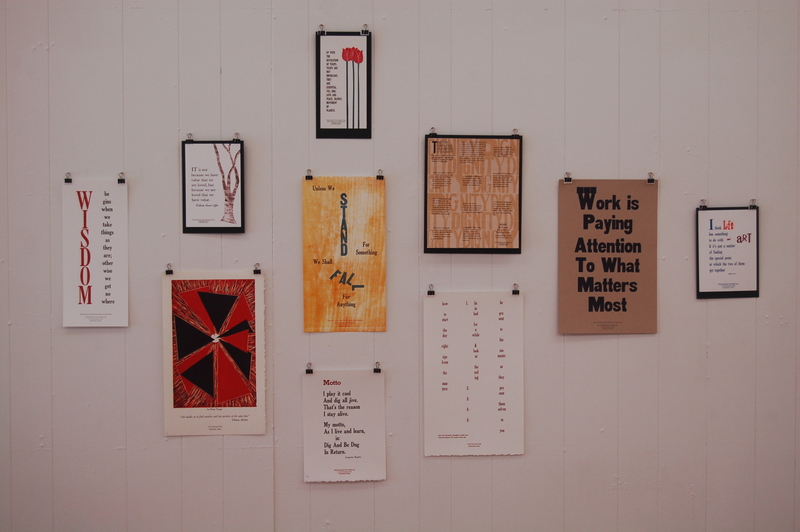 John Vincent has been experimenting with artistic methods of letterpress printing and disseminating radical & revolutionary ideals since founding A Revolutionary Press in 2008. His work primarily consists of designing and printing broadsides, using handset metal and wood type of various sizes with images he creates from cutting and printing linoleum or wood blocks, or with other experimental means of relief printing on the letterpress. Vincents work expertly combines inspiring phrases and quotes with intriguing visual layouts. He explores color, shape, and text to create beautiful final products that are pleasing to the eye as well as the mind. He has ten prints on display in Manifestos and dominates the left wall. Come and check it out at the PRESS gallery on Main St through July 26. Tags: A Revolutionary Press, Holstee, John Vincent, Letterpress manifestos, manifestos. Bookmark the permalink. Previous post ← Manifestos Now Open!